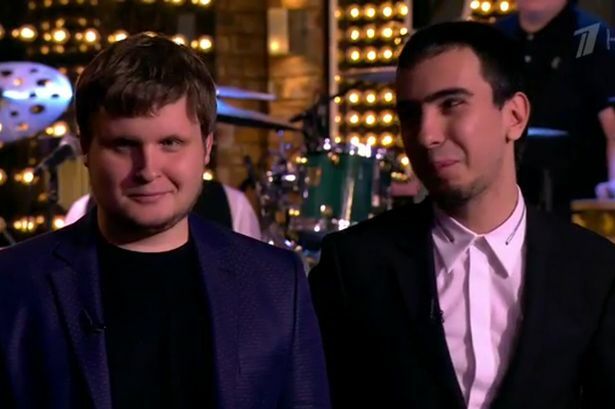 Two teenagers from Russia called Elton John pretending to be the Russian president Vladimir Putin and his translator. They called to discuss with Elton how they can work together on solving issues with gay and lesbian’r rights in Russia. 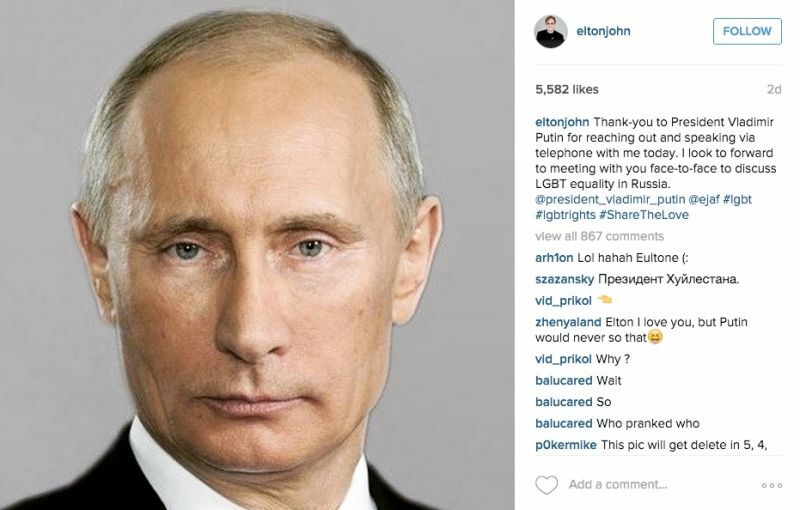 Immediately after the phone call, Elton John posted on his Instagram a photo of the Russian president with a shout out to thank him for the phone call. According to Mirror, Vladimir Putin did not actually call Elton. Instead he was duped by two Russian pranksters who later appeared on a TV show in Russia to mock Elton John. Here’s the audio of that prank call to Elton John. Pretty sad day for Elton. Who are the pranksters who duped Elton John pretending to be the Russian president Vladimir Putin? Their names are Vladimir ‘Vovan’ Krasnov and Alexei ‘Lexus’ Stolyarov. Here’ is there photo.